Tuesday was a big day for Intel. The chip giant announced not just a few killer products either available or in the pipeline, but rather a very impressive bunch of newcomers involving processors, accelerators, networking and edge compute. AnandTech referred to the Intel blitz as an "enterprise extravaganza 2019." Another site said it was a data center assault. David Needle, eWeek, saw this as largely a bevy of products aimed at data center customers. "Use cases range from cloud computing and network infrastructure to intelligent edge applications." Needle quoted Jennifer Huffstetler, vice president of Intel's Data Center Group. She said the new products and refresh of Intel's line should be of interest to customers looking to upgrade. "Someone who bought a server five years ago is going to see a 3.5 times performance boost with just the CPU replacement. The TCO [total cost of ownership] is a tremendous benefit with everything in one box," she said. With the new announcement, Intel seems to be pumping its chest over data-center bragging rights over technology that can help move, store and process data across demanding workloads. First, the new Xeon Scalable processor is now available. This product is targeting networking applications. Intel Xeon Scalable processors "are enabling high-performance, efficient, scalable and agile 5G-ready networks," said the company's news release. Max Smolaks in The Register singled out the new Xeon SP Platinum 9200 line as worthy of special mention. "Intel's latest top-end processors glue two 8200-series dies into a single BGA package – a big change for Chipzilla." Smolaks showed what separates the new from first-generation Xeon SPs. The latter is described as general purpose, while the new chips are optimized for specific applications. Such as? Smolaks said, such as, networking and network functions virtualization (NFV), high-density virtual machine hosting, or long life-cycle. New features were built in. These include the "integrated Intel Deep Learning Boost." Meanwhile, Intel also introduced Agilex field-programmable gate arrays (FPGAs). 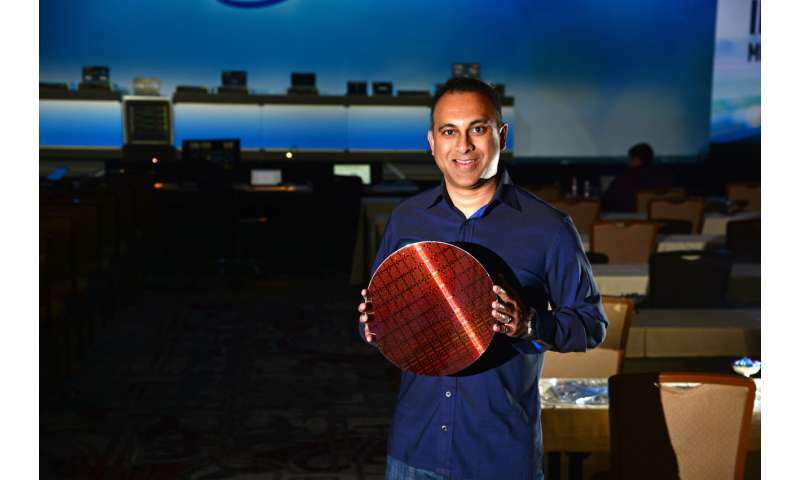 Intel said the new 10nm FPGA will deliver "flexible hardware acceleration." The Agilex FPGA family of 10nm FPGAs will start sampling in the second half of 2019. Out of the announcements, the 56-Core Xeon Platinum 9200 won the most attention. Bloomberg said that in the company's introductions of different versions of the Xeon processor, the Xeon Platinum 9200 was at the top end . The 56-core, 12 memory channel Intel Xeon Platinum 9200 "processor is designed to deliver leadership socket-level performance and unprecedented DDR memory bandwidth in a wide variety of high-performance computing (HPC) workloads, AI applications and high-density infrastructure." PC Gamer reckoned it was destined for servers and datacenters, not gaming PCs and home consumers. Then why mention it at all for their readers? The answer: "what does catch our attention is the underlying architecture." Intel said it "expects systems with Intel Xeon Platinum 9200 processors to start shipping in the first half of 2019 and ramping in the second half of the year." Along with plenty of marketing jargon and genuine details, Intel's announcement did not ignore a clear business case. Currently, the business opportunity to propel business and to fuel insights is significantly untapped. "Today, it is estimated that only 2% of the world's data has been analyzed," Intel said. Intel also promoted its answer to high speed connectivity needs. It introduced the "Ethernet 800 Series adapter with Application Device Queues (ADQ) technology." This adapter features up to 100Gbps port speeds. ADQ increases application response time predictability. ADQ also cuts application latency and improves throughput. Intel said the Ethernet 800 Series adapter "is sampling today, with production scheduled for 2019's third quarter." The Next Platform, meanwhile, thinks Intel has pushed Xeon SP "to the next level" with Cascade Lake, which is the second generation of the Xeon SP family of server CPUs. Competition? Timothy Prickett Morgan, The Next Platform, said, "Intel has made do with its 14 nanometer processes for Broadwell, Skylake, Cascade Lake, and Cooper Lake Xeons, and clearly it still dominates datacenter compute and is making money hand over fist despite a pause in growth in spending by the hyperscalers and cloud builders in the fourth quarter." Nonetheless, Intel has to compete for dominance in data centers, and Bloomberg made note that "New designs are important at a time when Intel is struggling to improve manufacturing, after decades of industry leadership. Rival Advanced Micro Devices Inc. has new chips that are beginning to grab sales, and large data center owners are experimenting with designing their own chips."